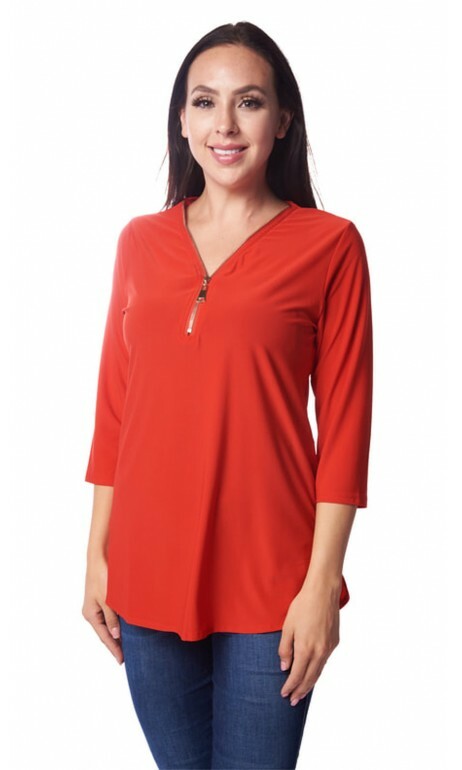 Red tunic with zipper from the new Spring / Summer Creation collection. 3/4 sleeves. Wrinkle resistant fabric. Ideal for all kinds of occasions. It is available in sizes small to 2 x-large. Fast delivery and satisfaction guaranteed.